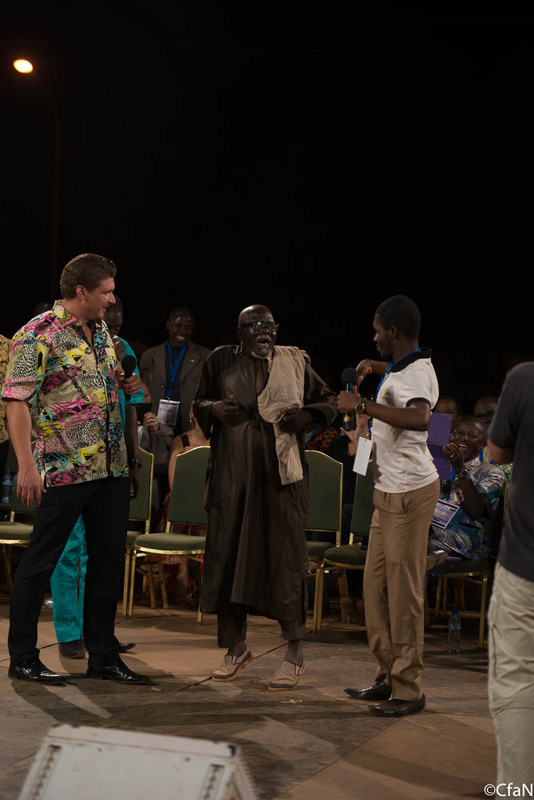 There is so much happening here in Bobo-Dioulasso, Burkina Faso and so many interesting things to tell. This region is fascinating for its unique challenges on the one hand, and the remarkable miracles on the other. We are really working here. It’s not a smooth ride. But we are seeing breakthrough after breakthrough. This region is very much steeped in witchcraft and superstition. The traditions of juju go back hundreds, perhaps even a thousand years. The fear of demonic spirits and witchcraft curses is embedded in the culture and psyche of the land. Various demon gods are worshipped and feared. One major river that flows through the land is said to be home to a certain demonic spirit which is believed to manifest as a big fish. As a result, fish are revered. Even if one dies and washes onto the shore, it receives a proper burial as a human would. Last night, after I preached on the blood of Jesus, I said that I would break the curses of the land. On my list was the name of this demon. 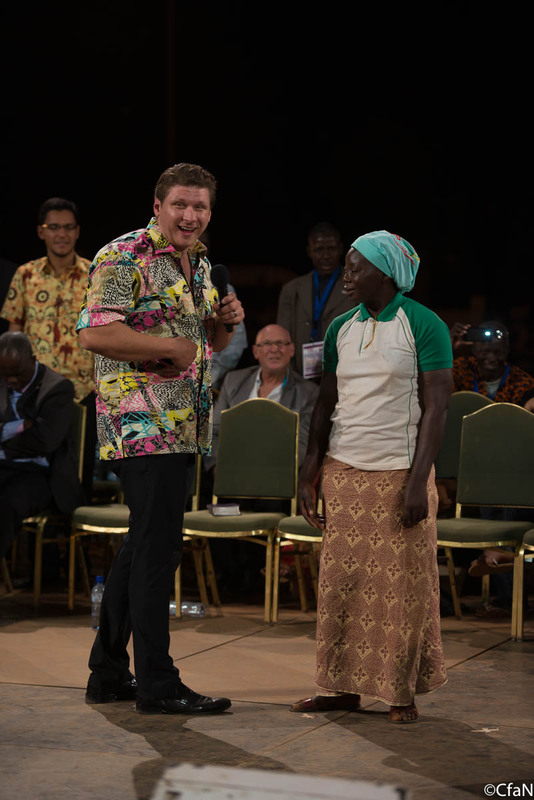 Certain pastors on the platform pled with us not to say its name out loud because they were afraid that it would attack them. 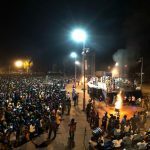 In fact, the very field where the crusade is taking place this week, is a well-known site where religious rituals and festivals take place to honor this “god.” Despite their request, I publicly named this demon and declared its power broken in Jesus name! It was a moment of great freedom and deliverance. Demonic manifestations took place all over the field. But most importantly the people (and even pastors) saw that we are not afraid of demonic powers. We are more than conquerors through Jesus Christ! These meetings are being broadcasted live on two radio stations in the area. This is very important because, despite the fact that multitudes are gathering on the field, the majority of the population is Muslim. Many of them would never be able or willing to attend a Christian event. But they can turn on their radios and listen to the Gospel as they sit in their homes. 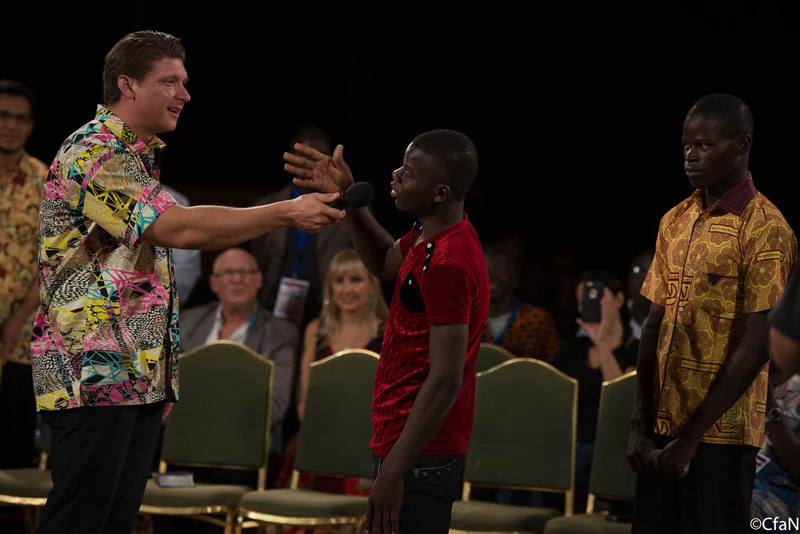 Many are responding and being saved and even healed! The radio station workers told us they are overwhelmed with calls from people who are being healed as they listen over the radio! Even the airwaves have been transformed into vehicles for the power of God. Miracles are in the air! 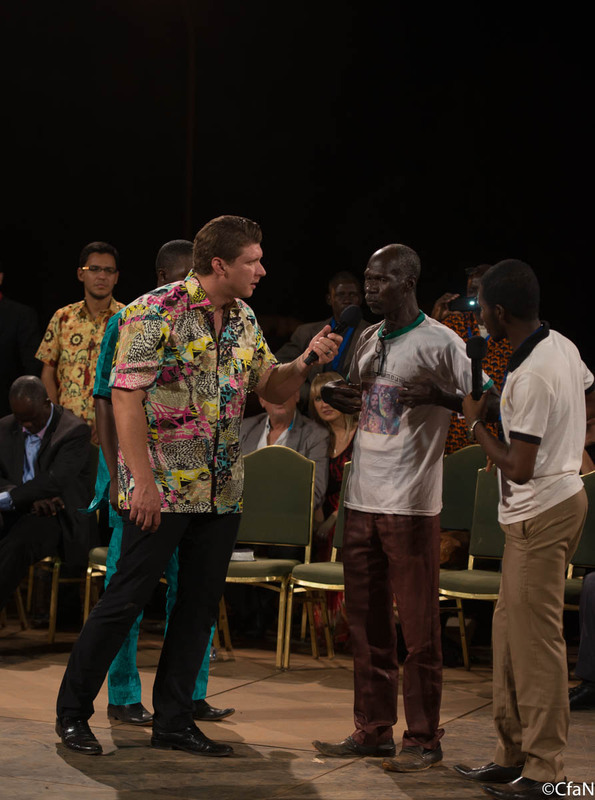 Last night, a man gave a testimony of being healed after 14 years of debilitating stomach pain. He said he had been to doctors in Burkina Faso and even in Paris, but no one had been able to heal him. 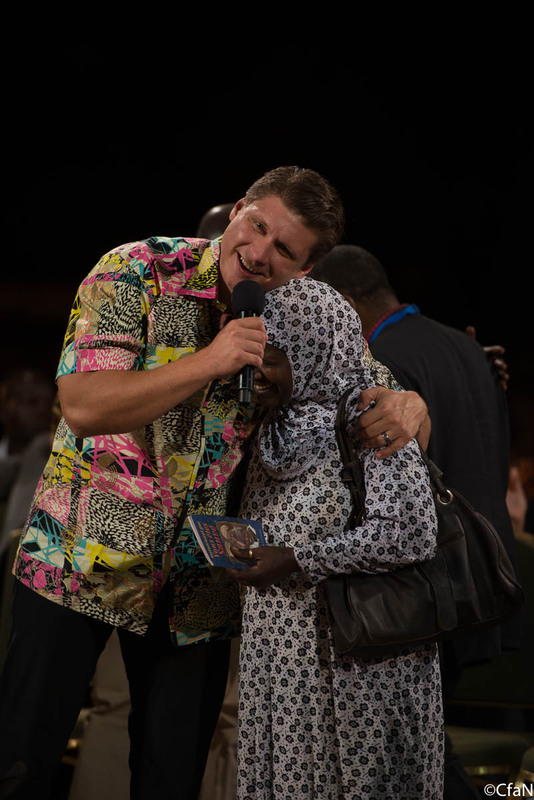 Last night, during the prayer, all his pain left and he was totally healed. What I didn’t know is that he was also a Muslim and he did not get saved last night. But today he came back. His vehicle was filled with a huge collection of witchcraft fetishes. There was pottery and woodwork that had been put in his house to ward off evil spirits. He brought all of that stuff tonight and put it into our burn barrels. He wanted all that “juju” out of his life. Tonight, after I preached the Gospel, he prayed with me to receive Jesus. He told me tonight, “I am cleansed by the blood of Jesus!” It’s emotional to recall it even now. Tonight, a little girl was brought forward who had not spoken in 6 years. She had contracted meningitis when she was 2-years old and had been mute ever since. Tonight, when we were praying for the outpouring of the Holy Spirit, I asked the people to sing “Hallelujah.” Then I asked them to sing, “Thank you Jesus” to the same Hallelujah melody. The little girl’s mother told me that she suddenly noticed her daughter was singing, “Merci Jésus” (French for “Thank you Jesus”). She can now speak perfectly! Many more miracles took place, but there is one more I must mention. The last testimony of the night was from a Muslim woman who had suffered with asthma and stomach pain for 15 years. She said that Jesus had healed her and that she was so happy. Right before she walked away, I noticed something – she was holding a little booklet in her hand. It was the “Now That You’re Saved” booklet that we give to all the new converts. I asked her if she had become a Christian tonight and she said yes. 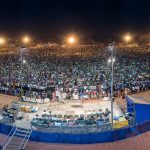 This is the greatest miracle of all and it is a miracle that is happening here in Bobo-Dioulasso by the multiplied thousands. Tomorrow is the last day of this crusade and it will be the last crusade of the year. 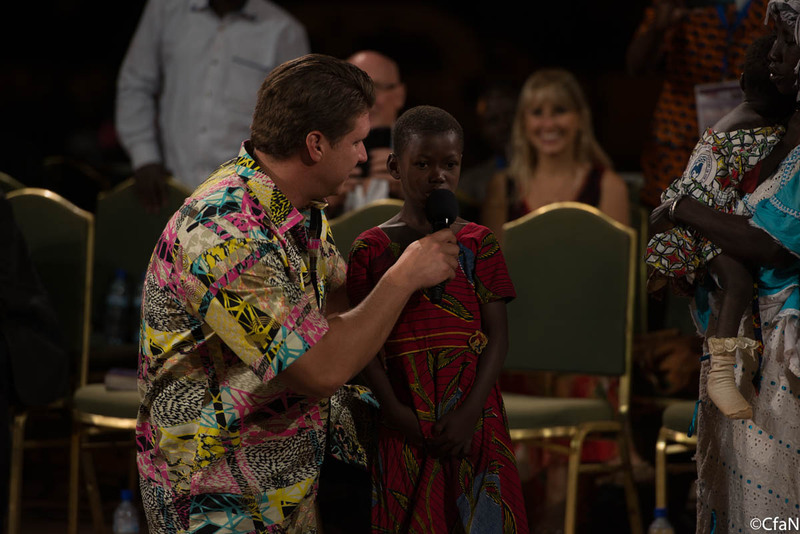 Please pray for one more massive harvest tomorrow night and a historic outpouring of the Holy Spirit. This woman had asthma for 15 years and can breathe properly now. She also got saved tonight, she carries the Now that you are saved booklets in her hands. The woman has been color blind for 5 years. Daniel tests her by asking what color certain parts of his shirt are. The old man in the brown clothes had asthma for 46 years and he can breathe better now. Daniel has him take a full breath on stage. The man in the red shirt said he couldn’t see properly. He couldn’t see straight, which means he either had to turn his head left or right to see what is ahead of him. He can see straight now. The man and his wife got poisoned 18 months ago. His wife died from the poison. After the prayer the pain left and he is healed now. Mom with her daughter and a baby on shoulder. The daughter couldn’t speak since two years ago. 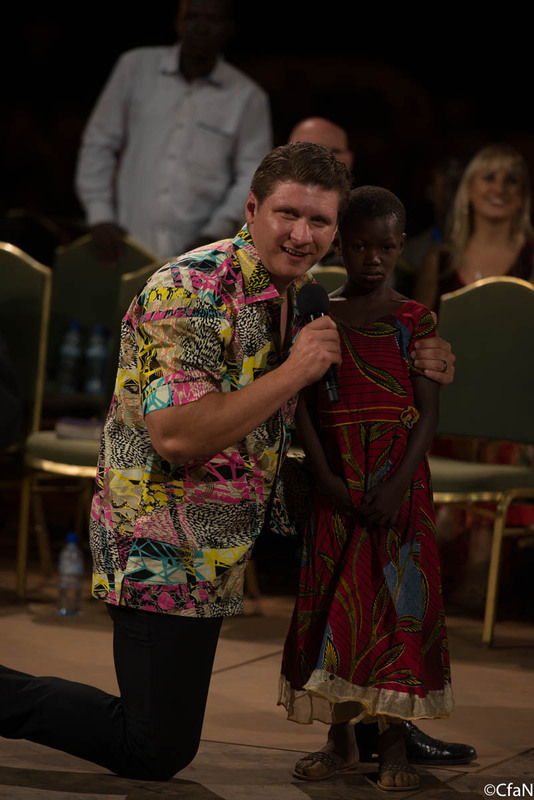 She got healed last night at the meeting and can speak. Daniel tests her on stage and she repeats what he says.